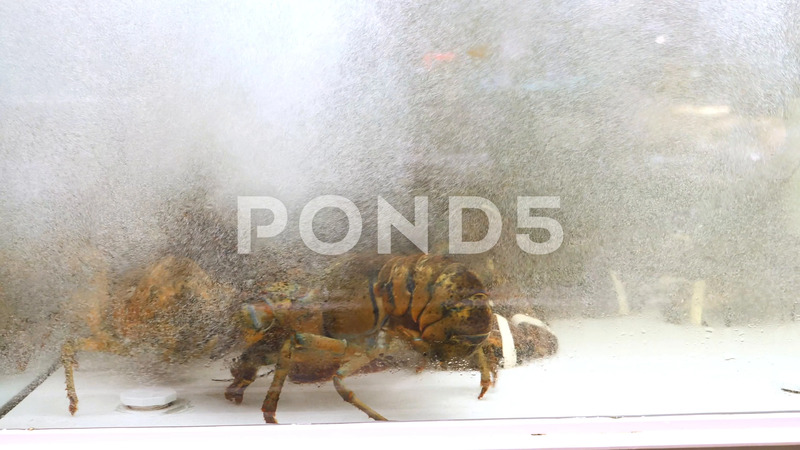 Lobsters In Water Alive In Supermarket. Description: Lobsters In Water Alive In Supermarket. 4K.